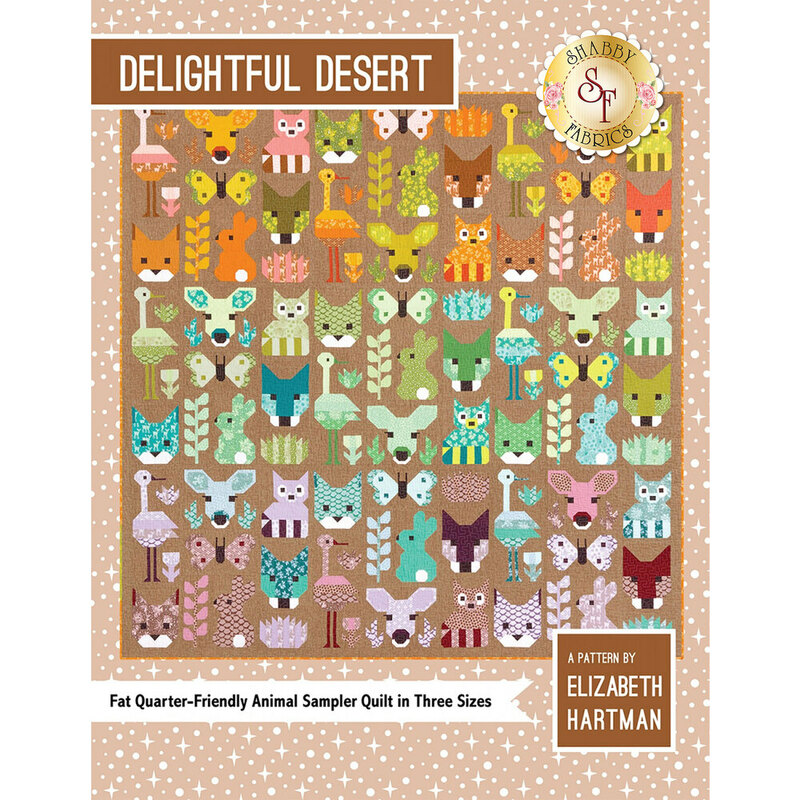 Delightful Desert by Elizabeth Hartman is a fat quarter friendly pattern that uses conventional patchwork piecing techniques. 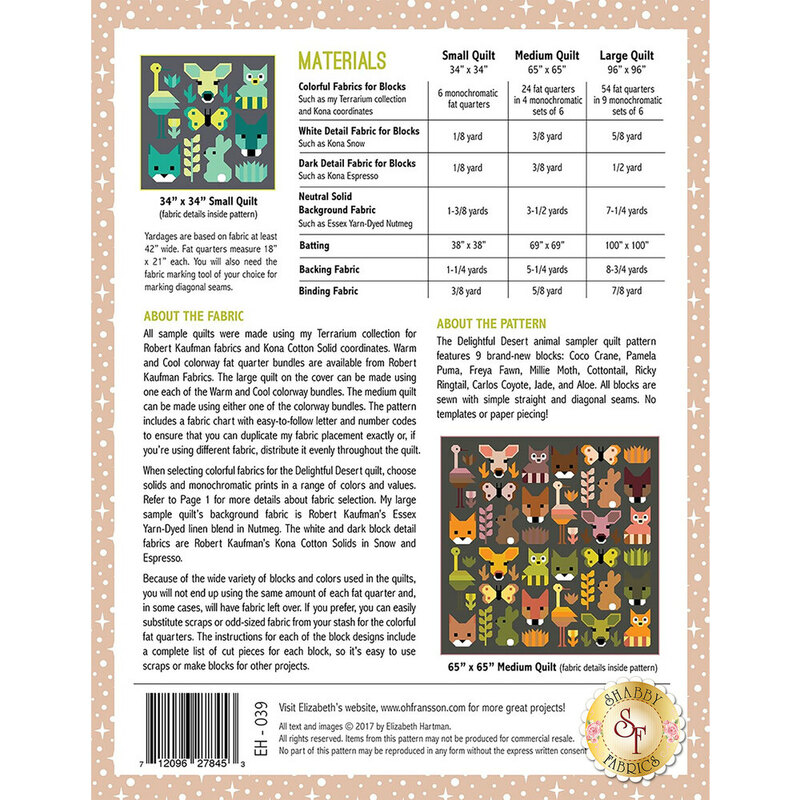 Choose between three different sizes: a small quilt measuring 34" x 34", a medium quilt measuring 65" x 65", and a large quilt measuring 96" x 96". All blocks are sewn using simple straight and diagonal seams, which means there is no need for templates or paper piecing!